We would love to say that Spring is in the air, but as we are still in February, that is probably a little presumptive! The weather has been interesting to say the least and may have stopped many of you getting out and about, however our Staying Active blog has got lots of top tips to stop those Winter Blues kicking in! 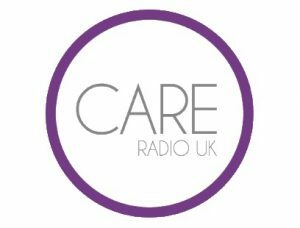 We are also very excited to be working with Care Radio UK to further support the caring community, whilst listening to great music and hearing inspiring stories. There has been much reported over the last 12 months about how the benefits of keeping active can help improve both your health, emotional and mental well-being. Whether you are training for a marathon, attending a yoga class or spending a few hours gardening, being active can bring many benefits. Having a disability, whether it is visible to other people or not, may have stopped you being active in the past, but please don’t let it stop you in the future. A member of the MyLiferaft team was invited to attend the National Junior Games at Stoke Mandeville Stadium a few weeks ago with Wheelpower, and was amazed at the different activities that are now fully accessible to all. Read our Active blog on more ways of staying active and how MyLiferaft can help support you in achieving your goals. We are rolling out MyLiferaft across more areas around the UK by becoming part of the Local Offer. Each Local Authority has a list of resources, called a “Local Offer”, and this is generally accessible via the family information services. These resources are designed to help support families and young people with special educational needs. 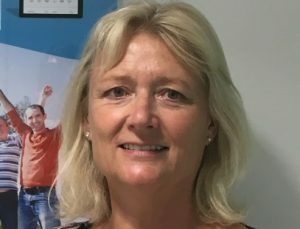 MyLiferaft was founded by Nicola Murgatroyd following her experiences in caring for her daughter, so she is no stranger to the difficulties parents face in getting support from local authorities. Read more about Nicola & Faith’s story. MyLiferaft has recently been added as a Local Offer in Buckinghamshire, Oxfordshire, Hertfordshire, Gloucestershire and West Berkshire. Turn on and tune in to Care Radio UK – wherever you are! We are so excited to be part of a new venture working alongside Care Radio UK helping to support the care community. One of their unique features is their podcasts. 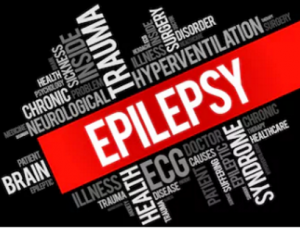 Recent podcasts include Kay Smith who lives with Lupus, where she talks frankly about her life, how the discovery of virtual reality technology eases her pain and why she is determined to live her life to the full while helping others through her campaigning. There is also a moving interview with Alison Carr who talks about her son Fraser who was nine years old when he contracted encephalitis. Alison talks openly about her family’s struggle and gives her views on funding for Carers and the testing of her personal resilience. If you or someone who supports you doesn’t speak the same language, then information can sometimes get lost or misunderstood. With MyLiferaft, you can enter information in your language of choice, share with others who can then choose what language they read it in. This feature is also helpful when carrying out an assessment, as MyLiferaft can act like a translation tool during a face to face meeting. Additional new functions also include the ability to choose when you want to receive notifications/reminders and you can now message those you share with. If you have half-term approaching in a few days, don’t forget to check out our Resources for child-friendly activities for all ages and abilities! It has been a great start to 2019 and we are excited to be moving forward and keeping you updated on our journey. WOW – where did the year go?! Are you fully embracing the festive season writing lists and wrapping presents or, are you hiding behind a big tin of chocolates trying not to think about everything you have to do!? Well, which ever camp you fall in to, Christmas is most definitely around the corner! The new home-page for our website has been launched making it easier for you to find your way around our site. Updates to MyLiferaft have included the addition of messaging, a more colourful interface and streamlining of some features. Ed Moses, Deputy Director of the Department of Health talked about MyLiferaft in a recent speech. We’ve supported more charities and awareness campaigns via our blogs. Our social media reach has grown – thank you for following us and keeping us on our social toes! Please continue to like and share our posts. We were featured in the brilliant UCan2 Magazine – you can read the articles here. We’ve attended several large health and technology exhibitions and have received lots of positive feedback. In September we launched two new accounts which give you the flexibility to choose the one that works best for you and your family. All new MyLiferaft subscribers’ are now set up with a Standard account automatically and no payment details are needed! However, you can also upgrade to a MyLiferaft Premium account at any time to have access to the full range of benefits. For more details of the two accounts or to try now, click here. Earlier this year, we shared with you Sofia’s Story which is based on the experiences of MyLiferaft Founder & CEO, Nicola Murgatroyd and her daughter Faith. We have showed this video to lots of people over the last few months – business leaders, users of MyLiferaft, charities and carers – and all fully understand how MyLiferaft can make a positive change to people’s lives. There is always that difficult few days between school breaking up and Father Christmas’s arrival where it can be difficult to keep your children entertained. Don’t despair as MyLiferaft can help! We’ve put together a list of activities for all ages and abilities that will keep you and children happy! Make a Christmas wreath – you may be able to use a few bits from the garden or collect twigs, cones and foliage on a walk. If you are into baking, bake some Christmas biscuits and let the children go mad decorating them. This is brilliant albeit a little messy, but at least you have a treat for afternoon tea! Snuggle up with your favourite Christmas movie – and don’t forget the snacks! If you love crafts, then making Christmas bunting to hang round the house and in the children’s bedrooms could while away a few hours! Make some paper snow-flakes to put on the windows. 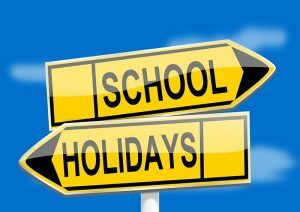 To see more ideas and suggestions for school holiday activities, see our Resources. We would love to hear if you have a festive activity that you would like to share with the rest of the MyLiferaft community! Just send it to info@myliferaft.com. 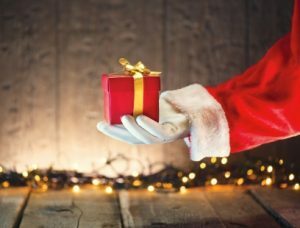 Getting to the big Ho Ho Ho and then ‘mopping up’ after Christmas can be a stressful time for many; concerns over cost, how to manage family dynamics, maintaining healthy regimes and managing expectations. Below are links to several websites to give a guiding hand. There are exciting times ahead in 2019 for MyLiferaft! We continue to review our website to make sure it is delivering up-to-date information through our blog as well as in our Events and Resources pages. For those of you that use MyLiferaft through your mobile phone, watch out for our improved interface! We are excited to be working with two specialist universities on joint research and how MyLiferaft can make positive changes to people’s lives. Be sure to keep signed up to our Newsletter so you are the first to hear our news! From everyone at the MyLiferaft team, may I personally take this opportunity to thank you for your continued support during 2018, and to wish you a Happy Christmas and a peaceful New Year. I think we can truly say that Autumn has arrived with a blaze of glorious colour across the trees and low sun shine blinding those of us in the car on the school run! It has been a busy Summer for the MyLiferaft team, attending several shows and exhibitions around the country, meeting some amazing people and hearing about their inspiring stories. 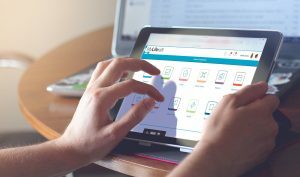 We have also launched our new Free Account, rolled out several new features within the system, supported many awareness campaigns through our blogs and visited several specialist schools. We were hoping things would quieten down, but it doesn’t look like that is going to happen! You may have received our Newsletter dedicated to the launch of the new Freemium subscription packages. You now have the flexibility to choose the subscription option that works best for YOU and YOUR family. Use the Free account or upgrade to the paid Premium account which gives you unlimited access to Trackers, Reports and Goals, as well as the ability to share the information with as many people as you wish. For more information, see our Subscriptions page. From 2019, the Blue Badge scheme has been extended to include people with ‘hidden’ disabilities, such as those with autism and mental health issues. This is a major and positive step forward for both individuals and parent carers who look after a child with a hidden disability. To find out, visit the Government website. 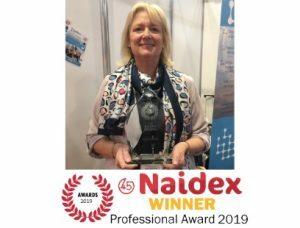 We often mention our CEO and Founder, Nicola Murgatroyd, but how much do you really know about her? Find out the real story that inspired Nicola to create MyLiferaft, her biggest challenges when looking after her daughter Faith and why she is happy to share her Shetland ponies! If you are carving pumpkins, then find a good recipe for pumpkin soup. You can freeze individual portions and take them out of the freezer when needed. Not everyone is comfortable with their door bell ringing constantly on the night of All Hallows Eve, so if you ARE happy to accept Trick or Treaters, then leave a lit pumpkin outside your front door. The little battery-operated tea lights make for a much safer option than candles for lighting up pumpkins. 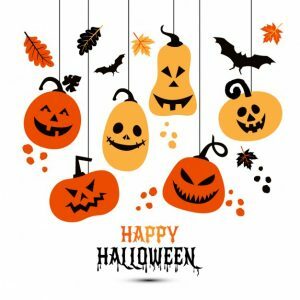 If you are going Trick or Treating, it would be wise to check out your route first if possible. Get the green and orange food colouring out and bake a Halloween inspired Victoria Sponge! You may have come across MyLiferaft in Twitter and Facebook as we find it is a great way of communicating with not only our users, but other groups and individuals who have a similar outlook to us in helping to support those that need it most. Please follow us using @myliferaft and keep up-to-date with activities, stories making the news and stories that we think should be making the news! Welcome to the Summer Newsletter from the MyLiferaft Team! If like us you have been making the most of the glorious weather, you may have lost count of the different sun factors to be found in the fridge! Join your children in the paddling pool, even if you just dip your feet in! The water can also be used for watering plants, so you are recycling as well as staying safe! Fill a hot water bottle……wait for it……….with ice cubes & cold water! If you have children, you are probably only a matter of days away from their school breaking for the Summer and whether you are a working parent, or a stay-at-home parent, it pays to plan ahead if you can. MyLiferaft have a great section in their Resources for ideas and suggestions to help you through the next few weeks, however here are a few more to add to the list! Have a Mini-Masterchef competition and make sure you include tidying up as part of the end result! If you have a garden, vegetable plot or allotment, get the children to help with the digging, weeding, collecting and eating your harvest! Keep a record of what you get up to in your MyLiferaft Journal and share it with friends and family. Don’t have an account yet? Sign up today and use the holidays to update information ready for sharing at the start of next term. A new plan was published by the Government earlier this Summer which would see EHC plans maintained up to the age of 25, where a young person has additional needs and would like to continue their further education. This allows the individual to continue within the education system much longer than they would have been able to previously whilst being supported by an EHC plan. To find out more, click here. The Goals and Actions area in MyLiferaft is an excellent place to document and monitor the goals and actions related to those in the ECH plan. Sharing this section of information with others can help ensure a consistent approach with the aim of improved progress. The MyLiferaft Events page lists events around the country that we feel would be of interest to our users. These range from specific shows such as the Autism Shows & Child Care Expo to Kidz to Adultz. Coming into the Summer, there are not many national events taking place, however if you have an event you would like us to list, please contact us. 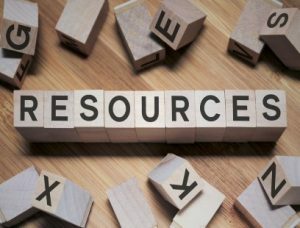 Our Resources section is a one-stop shop of external websites offering help, support, advice and guidance on a number of topics. If you are looking for information on Dementia, Allergies, Asperger’s, grants, social care, SEND and an extensive list of other subjects around caring for someone with additional needs and/or learning disabilities, then our Resources lists a website that can help you. Spring has sprung here at Liferaft! With Easter quickly approaching and World Autism Awareness Week taking place this week, there is plenty of things to get involved with this month. Read on to see how Liferaft can help you. World Autism Awareness Week began on 26th March and culminates on World Autism Day on 2nd April. The National Autistic Society is the leading UK charity for autistic people, including those with Asperger’s Syndrome, and their families. 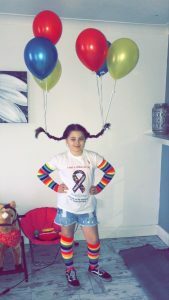 They run this awareness week each year to raise money and highlight the support needed. Parents of those with autism worry over the ability to provide effective care for their children. As a parent of a child with disabilities, our founder experienced similar worries when she designed Liferaft, a tool to manage the care of her child. 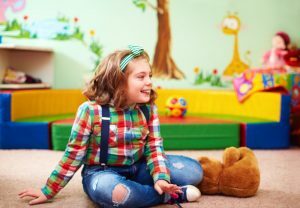 Since its development, many other parent carers have benefited from its ability to manage care, including parents of children with autism and Asperger’s Syndrome. Discover how you can benefit from using Liferaft and for more about World Autism Awareness Week. 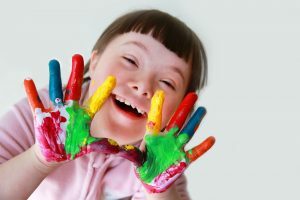 It can be difficult to keep your children entertained through the school holidays, particularly if they have additional needs. 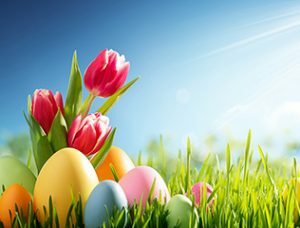 From Easter Egg hunts around the home to arts and craft afternoons, or enjoying the springtime weather in the local park, our Resources will help spark your imagination for an Egg-tastic Easter! Don’t miss our list of Resources to make planning your holiday activities easier! Inspired by the experiences of Liferaft founder & CEO Nicola Murgatroyd and her daughter Faith, Liferaft have launched ‘Sofia’s Story’ – a short video that outlines how Liferaft can help a child, or adult, with long-term care needs, their parents and their care circle. Watch our new video and learn about the many ways in which Liferaft can make a positive difference. As well as World Autism Awareness Day on 2nd April and the Easter Holidays, there are is a great selection of events taking place this month. 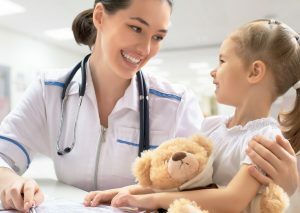 The Hospital Passport is an NHS initiative to help those with learning difficulties and is designed to give hospital staff additional information to help them understand your child’s needs. This can include their likes and dislikes as well as information about their health and wellbeing. When using a Liferaft Premium Account, you only need to add all your critical information once and then update it when something changes. You then use this information to create your individual Passport. Look out for our next Newsletter which will bring exciting news about some new features being launched in Liferaft. With best wishes for Easter. February is a busy month for many of us, with lots of events and activities taking place. For parents, half-term is quickly approaching. Then there’s also the fun of Pancake Day and Valentine’s Day to get involved in! We traditionally begin every year evaluating what we achieved in the year gone by, and the things we wished we had worked on. The start of a new year is the perfect chance to create a set of resolutions to work towards, from keeping fit to learning a new skill. If, by February, you feel you’re already starting to waiver, have you considered tracking your progress. Keeping on top of your progress boosts your confidence and helps you focus your energy. 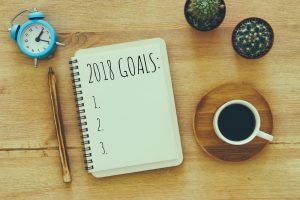 Liferaft’s goals and trackers can help you set and achieve your January Resolutions – it’s not too late so give it a go today! 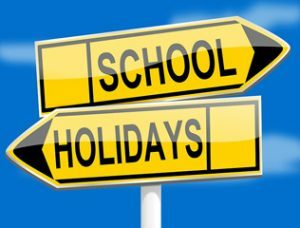 It only seems like a moment ago that children were off for the Christmas Holidays when suddenly the February half-term approaches! 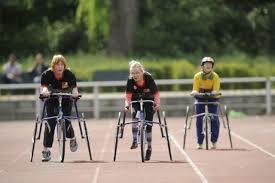 We know that it can be difficult to keep your children entertained, especially when they have additional needs. Then you have the unpredictable British winter weather to content with……planning activities while your child is off school is no easy task. We have also compiled a list of resources to make your planning easier – whether you want to get away on a family break or find some inspiration – just click here. This year, February 13th marks one of the yummiest days of the year, Shrove Tuesday – more commonly known as Pancake Day. 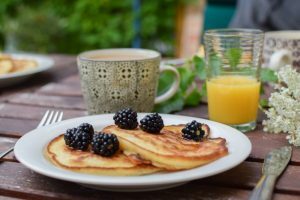 If you’re looking to make pancakes with your children, CBeebies have created a simple recipe that you can download and print. Take a look here. We love Pancake Day here at Liferaft, although we find it hard to agree on what toppings we enjoy the most! From sweet to savoury, MumsNet have a great variety of flavours to try here. Let us know on Facebook what your favourite pancake fillings and toppings are! If Pancake Day wasn’t enough of a treat, the next day is Valentine’s Day! It’s another opportunity to help children get involved with creative play, developing motor and communication skills. 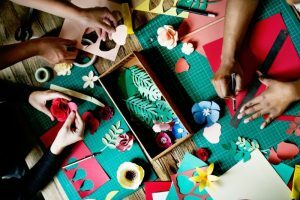 The AngelSense blog have put together 4 Valentine’s crafts for children with special needs that you can tailor for your child. Find out more about the activities here. 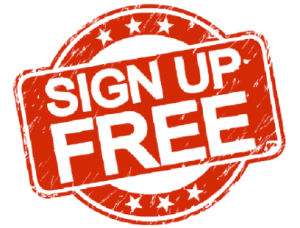 Take the opportunity to get our Premium Account FREE! We are offering our Premium Account FREE for 6 months when you sign-up using the code SANTA17 before 28th February 2018. Sign up NOW using the code SANTA17! 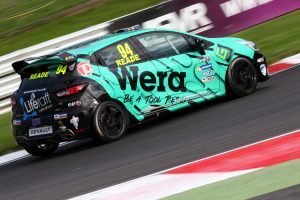 The motor fanatics at the Liferaft Team are thrilled that we are once again supporting Luke Reade as he returns for a 2nd season in the Renault UK Clio Cup this year. 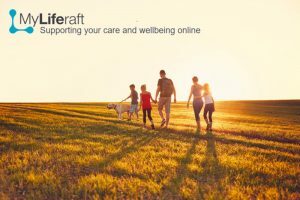 Liferaft is a powerful online resource that assists and addresses a wide range of health and social care demands. You know how much you wished everything that was important to your diary life were in one place? Well now it is! To find out how Liferaft can help you and your loved ones, visit www.myliferaft.com or see us on Facebook and Twitter. Merry Christmas from the Liferaft team! This month, we’re looking forward to all the festivities this time of year brings, from Christmas dinner with the family to thinking of new goals for the year ahead. If you, or someone you know, would benefit from having a Liferaft Premium Account, then we have the perfect present! We are offering our Premium Account FREE for 6 months when you sign-up using the code SANTA17 before 28th February 2018. Don’t delay! To sign up today for our Festive Offer, click here. The 12 days of Christmas began at Liferaft on December 13th! We’re celebrating our favourite time of year with our #LiferaftAtChristmas countdown on our social media channels all the way to Christmas Day. We love this time of year for spending dedicated quality time with our loved ones and helping those who need some support. Make sure you are following us on Facebook and Twitter for more festive fun! If you want to join in the fun and share your festive top tips, use the #LiferaftAtChristmas hashtag! 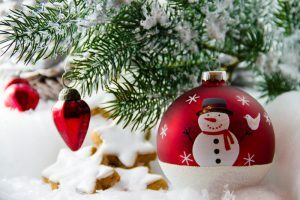 With schools about to break up for the Christmas holidays, it cane be difficult to keep your children entertained, especially when they have additional needs. To bust the boredom, we’ve put together a list of resources to help you plan activities while your child is off school. Click our Resources link to find out more and if you are a good suggestion, we would love to hear from you at info@myliferaft.com and add it to the list! This year, we’ve really focused on supporting parent carers. It was this parent carer role that Nicola found herself in that inspired her to start Liferaft. Being a parent carer to her daughter Faith meant that Nicola really understood what was required in creating a tool to support fellow parent carers and their children. Her experience led to the creation of Liferaft – a secure, online place to record health and medical data, as well as social, emotional and care information. All your children’s vital information is in one easily accessible place, so no matter where your child is, you can maintain continuity of information and share it with others.